Slovenian league leaders Olimpija Ljubljana have decided not to try to appoint Harry Redknapp. 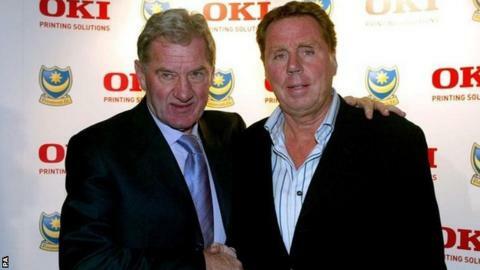 Olimpija president Milan Mandaric worked with ex-West Ham and Tottenham boss Redknapp twice at Portsmouth. Club director Ranko Stojic had said last week that the 68-year-old was a potential candidate, but Mandaric has ruled it out. "We cannot afford the slightest error because there is too much at stake," he told the club's website. "We need someone for whom the Slovenian football environment is not foreign. "I can assure you that [it will not be Redknapp] because we cannot afford too many risks." Redknapp has been out of management for almost a year, having resigned as QPR boss in February 2015.